Lerynne West from Iowa was the first to claim her half of this enormous prize, which amounted to $198.1 million. 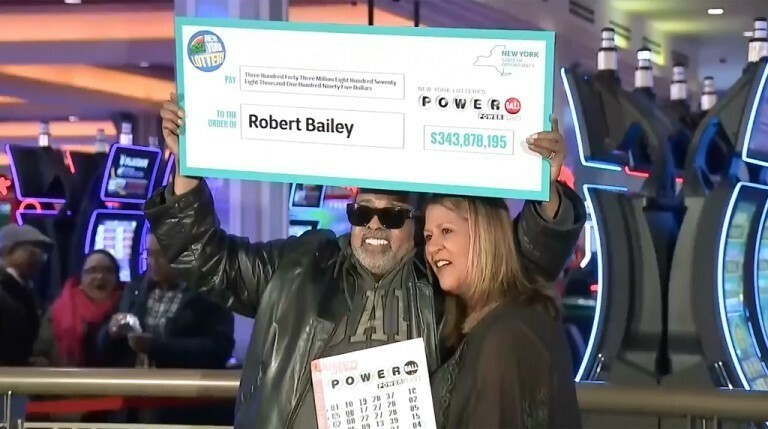 On Wednesday, November 14th, the second winner came forward, claiming his share of the $687.8 million. Who is the New York winner? His name is Robert Bailey. He is 67 years old and is a retired federal employee. He has been playing with the same set of numbers for 25 years already. “A family member gave me the numbers over 25 years ago and I faithfully play them,” Bailey said. The day he bought his ticket, he had to rush into the West Harlem Deli because it was pouring outside. It seems that heavy rain had a lucky connotation for Robert. Annuity or lump sum? Robert decided to go for a lump sum. After taxes, he pocked $125 million. Why did he get less money than Lerynne? American lottery prizes are subject to two types of taxes: federal and state. As they both decided to cash their prize as a lump sum, the difference comes from state taxes. In Iowa, lottery winners have to pay 5% of the remaining amount after federal taxes. In New York, the taxes amount to 8.82%. What are his plans? In the press statements he gave during the prize claiming ceremony, Robert talked about buying a house for his mothers, doing some travelling as well as making some hopefully wise investments. “It’s a good life-changer. I plan to do the right thing with the money,” Bailey said. Will he stick to his plan? Only time will tell. Does he plan to keep playing? “I will continue to playing my numbers until this train runs out.” These were the winner’s words! Want to walk into Robert & Lerynne’s footsteps? There is only one way! Get your lucky numbers ready and grab your Powerball ticket right now!